Clarivate Analytics, the global leader in providing trusted insights and analytics to enable researchers to accelerate discovery, this week published its annual Highly Cited Researchers (HCR) list. Now in its fifth year, the citation analysis identifies influential researchers as determined by their peers around the globe – those who have consistently won recognition in the form of high citation counts over a decade. The Web of Science serves as the basis for the regular listings of researchers whose citation records position them in the top 1% by citations for their field and year. Bernal Chair of Crystal Engineering, Mike Zaworotko, and Co-Director of SSPC, a Science Foundation Ireland Research Centre, made the list in two categories: Chemistry and Pharmacology & Toxicology. Professor Zaworotko was previously listed as being among the top 20 cited research chemists in the world from 2000-2010. In addition, in 2013, Professor Zaworotko secured the first award under the re-launched Science Foundation Ireland (SFI) Research Professor programme. Speaking on the HCR ranking Professor Zaworotko said “ This honour is an individual award but it could not have been achieved without the right chemistry between people. In particular, it reflects the hard work and talent of the researchers who have been part my group since I moved to UL in 2013 and the collaborative culture of the Bernal Institute”. Bernal Institute Director Professor Luuk van der Wielen said, “Phenomenal scientists as Mike Zaworotko are a true inspiration to the Bernal Institute’s students and staff alike. 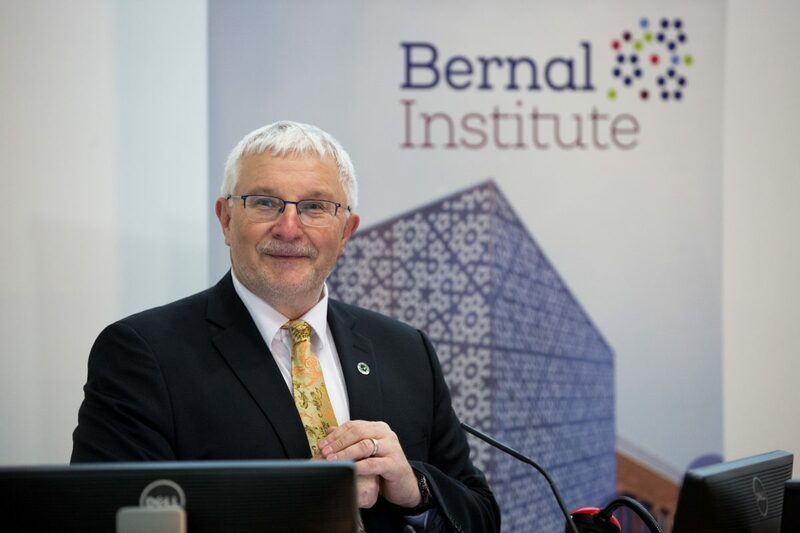 His sustained focus on connecting great science to solving global Grand Challenges in Health, Energy and the Environment underlines the ambitions of ‘Bernal’ as a translational research institute. We are privileged to have him as a colleague, and expect his impact in the institute, in science and in society to continue growing”.